trouble one day. Well, what do you think? character falls the second one then becomes the attacker. Pretty simple? Hard at first but easy when you get the hang of it. people. Only bad thing is that the encounter rate is through the roof! Very well done! Fits the story with a cute but not stupid kind of music! now and then, there are made in full action anime. Magnifique! 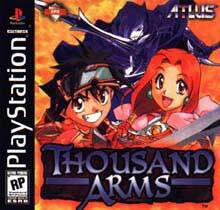 This is what mainly separates this game from all the other RPGs out on PSX. LOL. And don't worry this game is fun even if you are a girl. costs a lot of money in the game. sold it a while back and I've been scouring Ontario to find another copy! after a while, but you can always come back to it!